This year will see wedding taxi.com complete our 1,000th successful taxi wedding. From this wealth of past experience we are very well placed to guide and assist you through the planning of smooth and comprehensive wedding transport on your wedding day. Over the last decade we have acquiring a reputation for being calming, supportive, helpful and highly professional. We are not simply there to carry you from A to B, but make sure everything goes perfectly to make your day as special as possible. Be that keeping the vehicle slightly out of sight until the ushers makes sure everyone is inside, to locating the photographer if they are not there when you arrive. 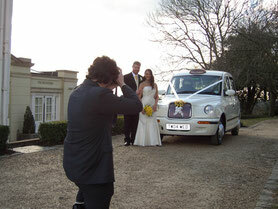 Our fleet TX White London Taxi (above) features an ideal wedding themed registration number. TW04 WED a nice, but subtle, addition to wedding photographs taken near the Bridal taxi. 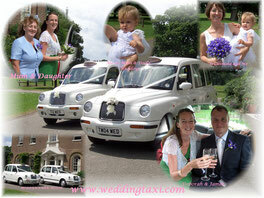 This web site is a reflection of what has been achieved in the past and can be achieved on your wedding day. 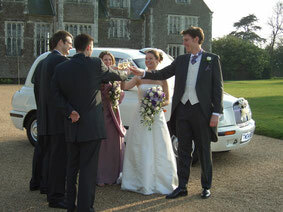 Everything to ensure your Big Day is magical and memorable for all the right reasons. Bridal wedding transport (looking after that wedding dress and the girl within) is an often underestimated part of every wedding. 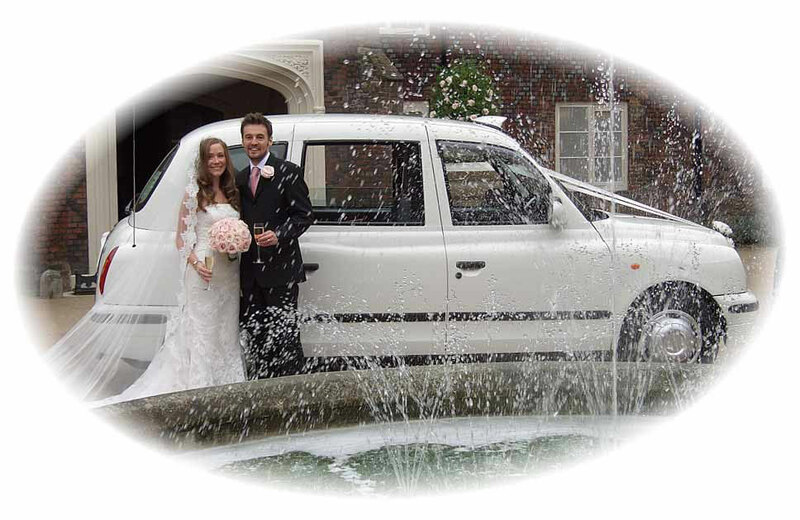 Almost any vehicle can look good in wedding photographs but it takes years of practical experience, wedding dress practical vehicles driven by experienced and caring drivers to provide the seamless and relaxing transport between your wedding venues. As much we I love a good wedding photograph my objective is to ensure that the memories you associated with each wedding photograph are all magical memories of Your Wedding Day. 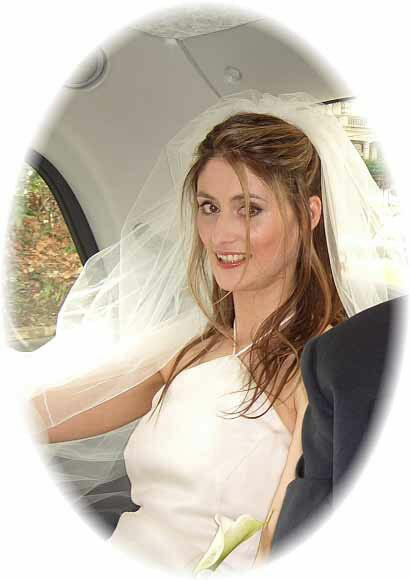 The bride, having spent a great deal of time and effort on the morning of her wedding, should not be required to squeeze into the rear of a saloon type vehicle and have her wedding dress pushed in on top of her. 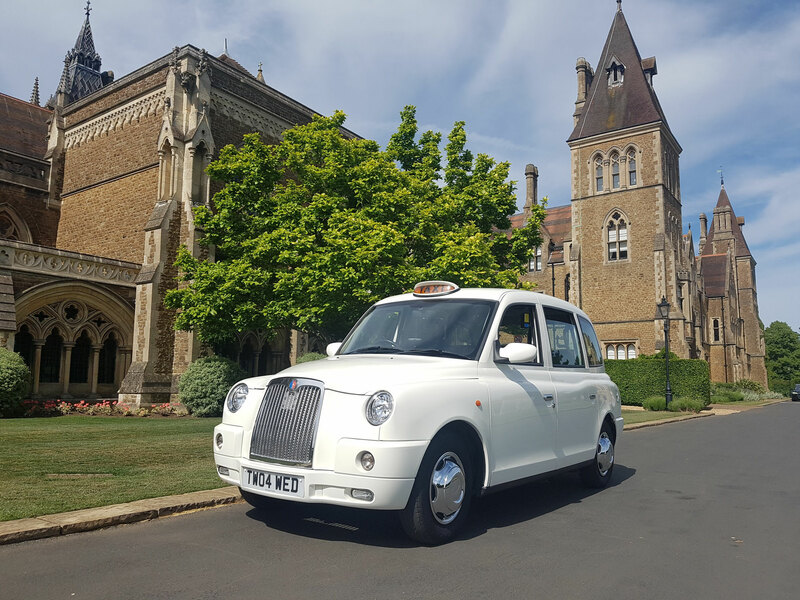 The London Taxi is an instantly recognised international icon. 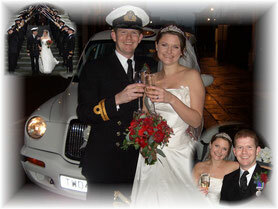 The pure white wedding taxi is exceptionally outstanding. 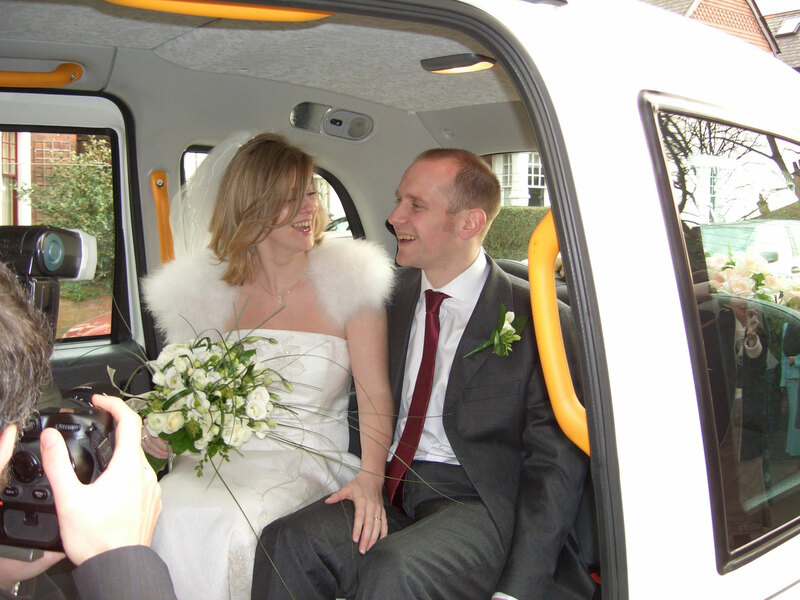 The rare White London Taxi, and it’s roomy passenger compartment, fully accommodates the bridal dress and train enhancing the photographers scope to record the bride sitting and alighting from the vehicle with style and elegance, in a crease free wedding dress. You will find genuine “Thank You” messages received with associated wedding photographs showing our wedding vehicles dotted over these web site pages., more on the 'testimonials' page.